Brand new name. Same great event. In this interview with Michael O'Leary, learn how SNHU, which offers over 200 career-focused online college degree programs, enables student success through remote support. Valuable insights not just for leaders in higher education, but for any leader in any industry that supports distributed users/customers or remote workers. Gain access to valuable research and opportunities to help you connect, learn, and succeed by joining the free HDI Community today. Our Business Is Growing, So You Can Too! Need more service management resources? No problem. HDI has recently assumed ownership of Propoint Solutions’ portfolio and now offers expanded service management resources, including comprehensive training and consulting services. 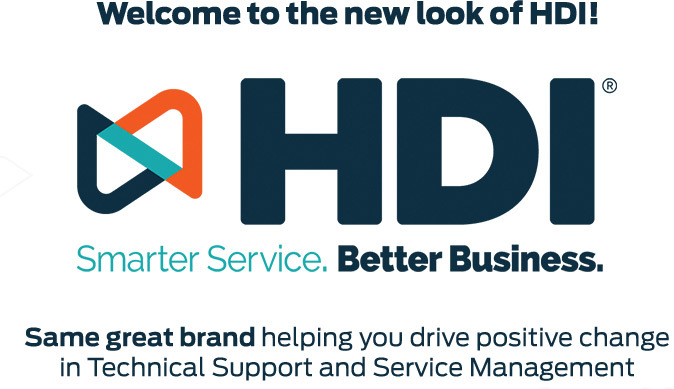 HDI is the leader in support, service, and guidance to the support and service management industry. For over 30 years, HDI has partnered with thousands of organizations to improve their customer service and service management performance. A NEW LEVEL OF NETWORKING. We offer Events, Certification and Training, Consulting, Industry News, Research and Resources. Connect in person with the entire spectrum of technical service and support. HDI events unite thousands of service and support professionals and leaders each year for premier education, networking, and collaboration. In this edition of HDI’s SPOCcast podcast, Roy Atkinson interviewed Doug Tedder about Enterprise Service Management, the VeriSM™ approach, the value of training, and more. In the world of service management, the concept of shift left as a strategy for shifting support services from higher tiers toward lower tiers and from lower-tiers toward prevention and self-service has become increasingly popular. Many support organizations have adopted self-service portals that enable their users to view and consume services and knowledge at the click of a button. But how do we know that our self-service portals are effective, and what are we to make of our ever-growing analytics? UBM LLC, 2 Penn Plaza, 7th Avenue, New York, NY, 10121. Outlet country is United States.